Bogohanons are gifted in Music. And there are a lot more gifted Bogohanons who just wanted to stay out of the limelight or who just never had the opportunity to shine like Vina Morales. And I was very happy to know that Bogo's contestant to the Halad sa Kabataan singing contest held at Cebu International Convention Center last month, Miss Ana Rose Tepan, of Brgy. Polambato, was offered by a Cebuano composer to sing for his entry to the upcoming Cebu Pop Music Festival 2011. It is in the Cebu Pop Music Festival where Vina Morales started to shine. The Tepans in Polambato are all gifted with angelic voices, from Ana Rose' father and mother down to all her brothers and sisters. Thanks to her mother's dedication to train all her children to develop their talents in singing. Sooner or later, there will be a new Bogohanon that will follow the footsteps of Ms. Vina Morales. But I think it will be sooner. Because another Bogohanon who is not just a music-gifted person but also a music professional is now starting a music school in Bogo, Mr. Slavsky Ybañez. There are a lot more Bogohanons, though without formal music education, still shine locally. These people have the natural talents in playing a few musical instruments, choral arrangements and song compositions. In fact, Bogo is one of the local government units in the Philippines with an official hymn. The Bogo Hymn was composed by a former Municipal Councilor of Bogo, Hon. Dodong Pedroza. The Pedrozas' are also known to be musically inclined Bogohanons. 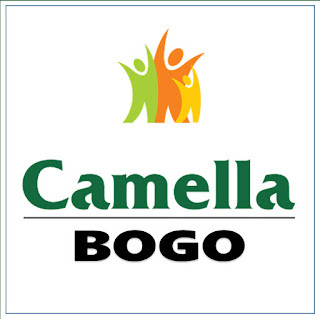 There is an existing ordinance declaring "THE BOGO HYMN" as the official hymn which also mandates everyone to sing it always after singing the National Anthem wherever they are in Bogo. Mr. Slavsky Ybañez and Dante Mayor was tasked to codify the official piece of the Bogo Hymn. The official piece was attached to the ordinance and is now in display at the Bogo Public Library. For more info and to download the Bogo Hymn, go to: http://www.dantemayor.com/2010/04/bogo-city-hymn-song-that-every-true.html. I encourage Bogohanons to develop their musical talents and Bogo is looking forward to more Bogohanons who will be known in the limelight of the music industry.